BRYAN EATON/Staff photo. Salisbury Beach Center was rather quiet on Tuesday as the warm air over the Merrimack River and the Atlantic Ocean condensed creating fog and cooler weather. 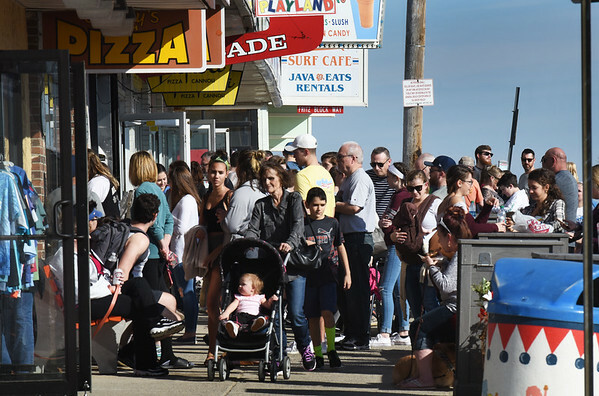 But 24 hours later made a world of difference as hundreds thronged to the beach and the restaurants and arcades on Wednesday afternoon. Rain or some snow is in the forecast for today.